But. I get the comment "Do you have anything more boy-ish? "And no, I didn't. 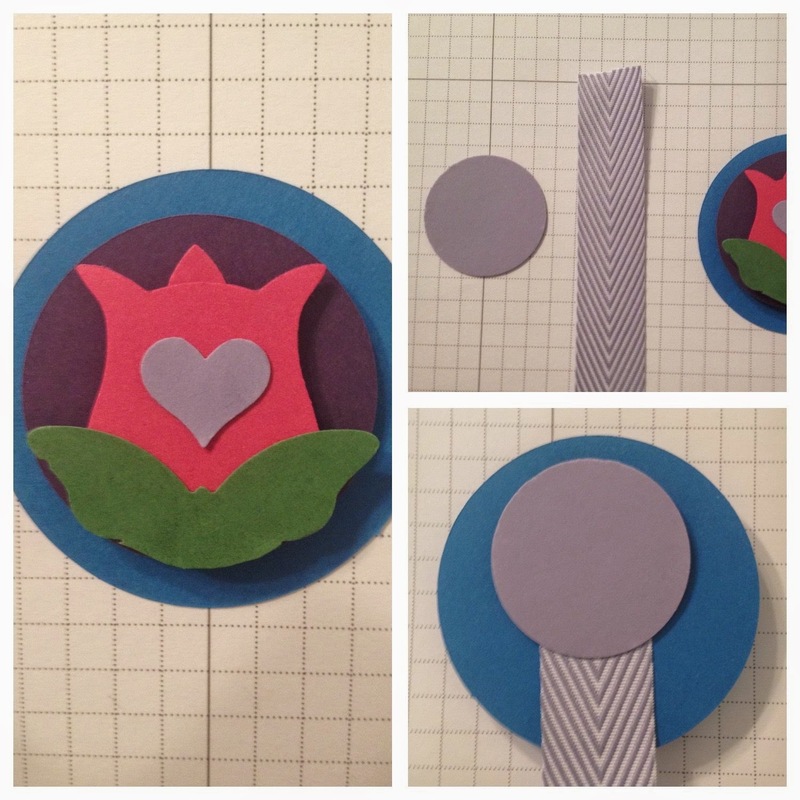 Masculine colors and DSP are still fairly Girly when used in a flower bookmark! I wandered around Pinterest... but didn't find what I was looking for. 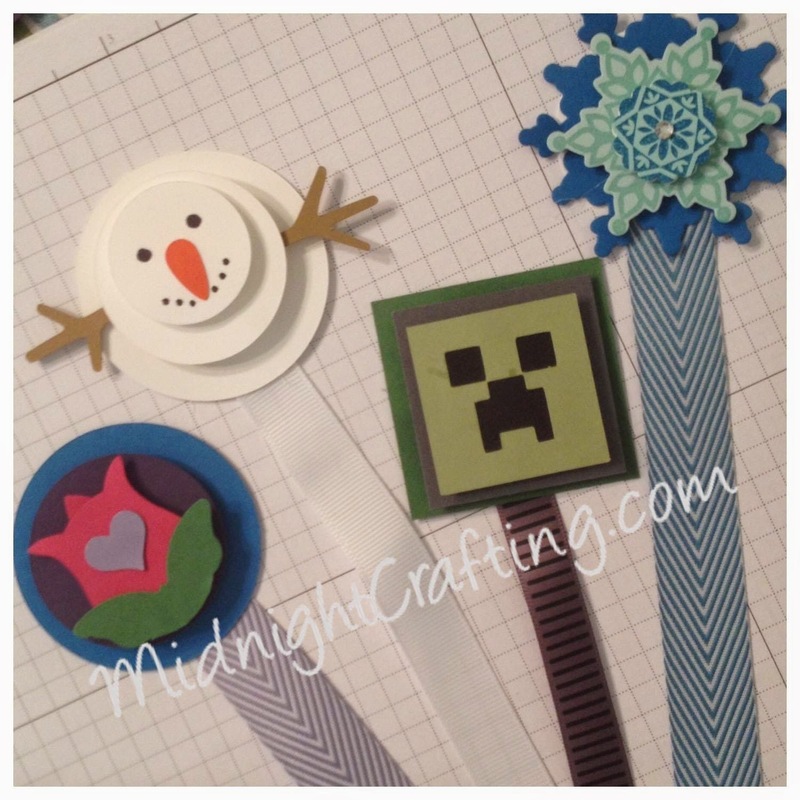 Then, my son asked if I could make a Creeper bookmark, since I was making all these bookmarks. Aha!! So I managed to craft a Minecraft bookmark. What else was boyish though?? 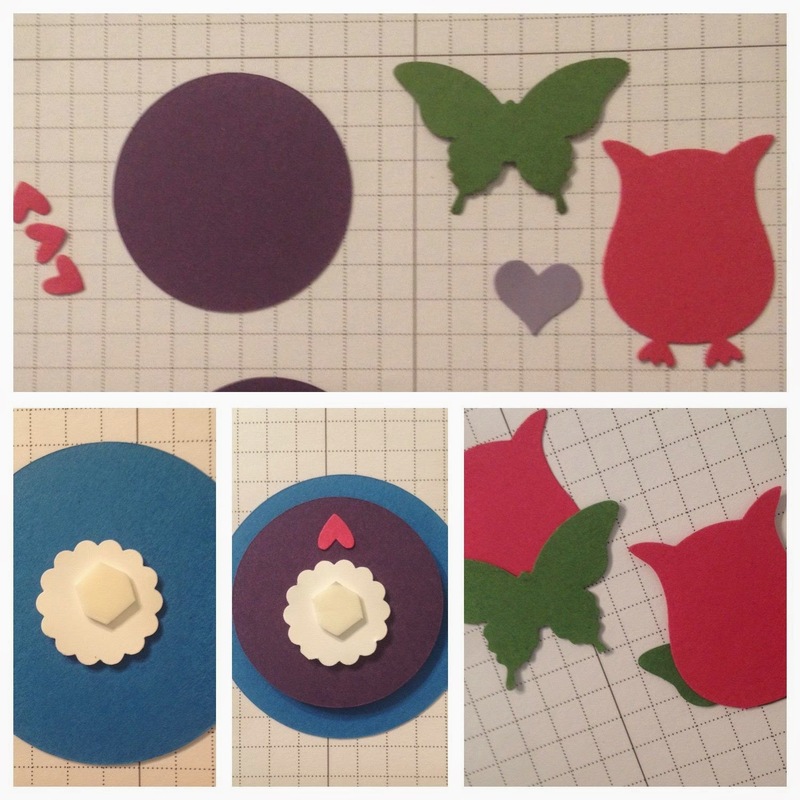 I asked my favorite consultant, Kristin, and she suggested the Owl Builder Punch for some cute monsters! Very cute idea, and totally boy and girl friendly! But, My daughter came along and wanted an Elsa bookmark, since I made her brother the creeper one. SO...sidetracked into girly territory again! The basic principal is from Aprils tutorial, but I modified the layers to fit the look I was going for..
For 'Anna' I used the Owl Builder Punch and the Elegant Butterfly Punch, circle and heart punches. For 'Elsa" I used the Festive Flurry stamp set and coordinating framelits (Retired bundle). The Snowman is obviously Circle punches, & the Creeper is Squares. Once you've attached all the layers, it should look as in the photo above. 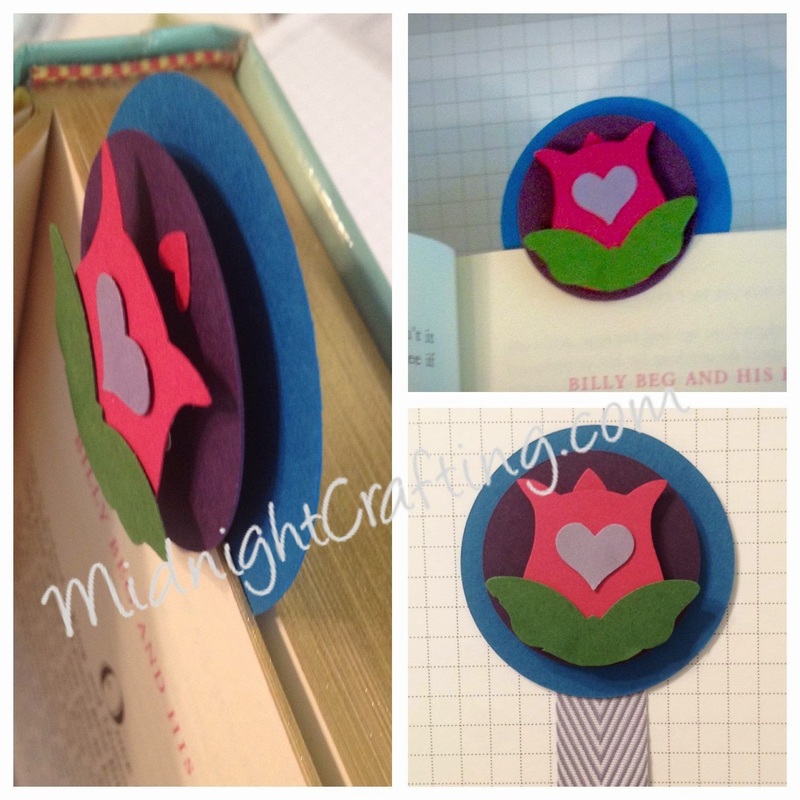 For the back, to add the bookmark tail, you'll want a circle punch and ribbon. Use a good dab of Hot Glue to attach these. They'll get the most "tug" so make sure they are adhered well! Finished, this will sit on the pages of your novels quite nicely! 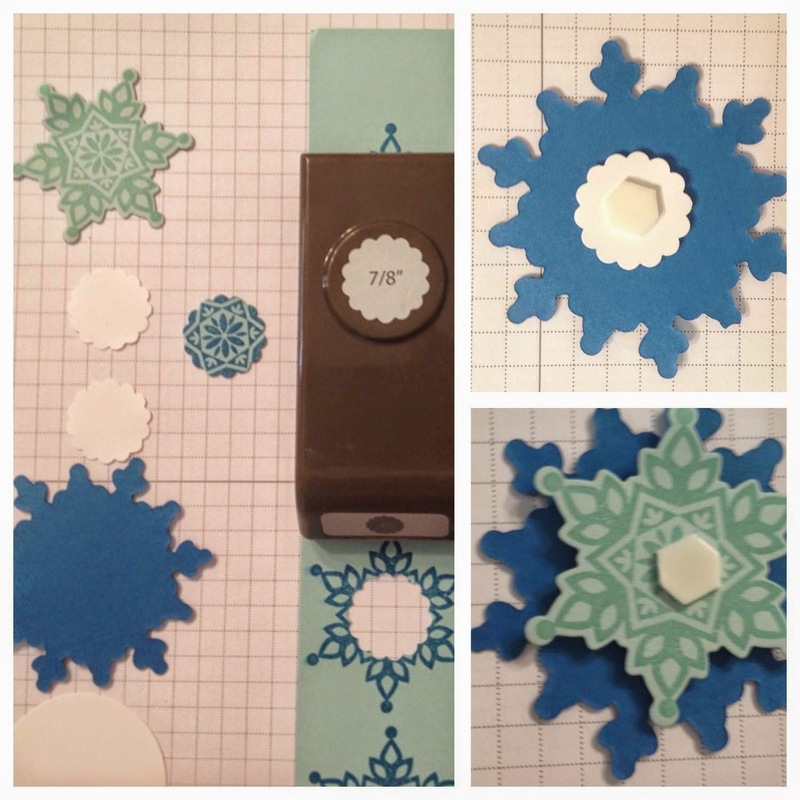 For the Snowflake / Elsa bookmark, follow the same steps, but use the layers of the Festive Flurry snowflake set. This is a retired set, sadly, but I love it! Snowflakes are my favorite! 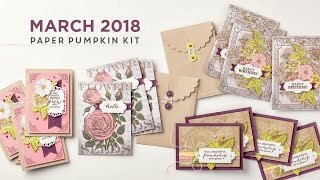 You CAN still get this set as a Digital Download, which includes SVG files that would work with most e-cutters! The colors I used were Pacific Point (to tie in with 'Anna's bookmark), Pool Party, and Soft Sky. 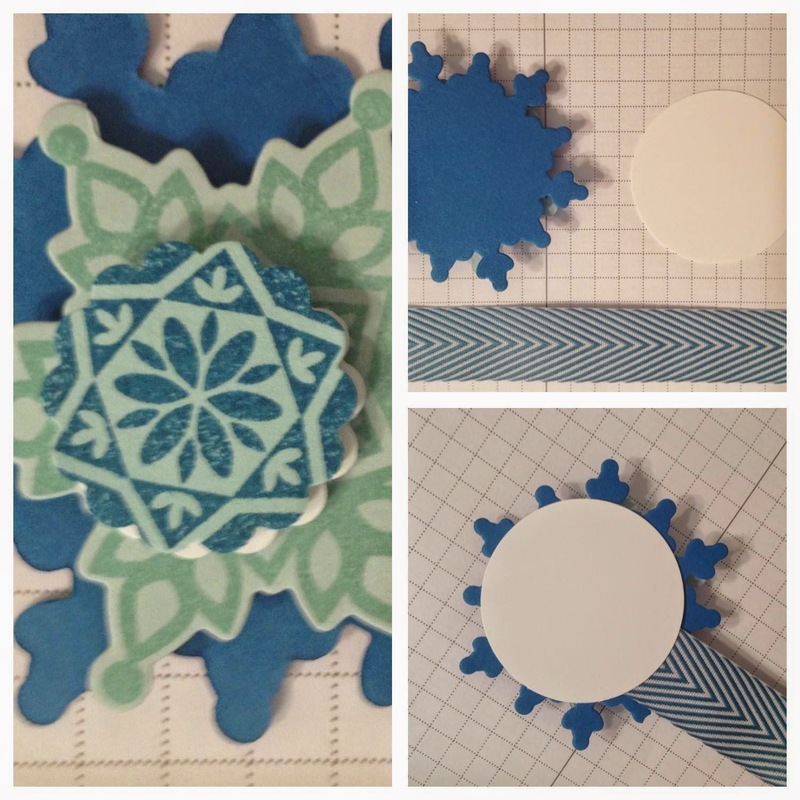 I stamped the 2nd smallest snowflake of the set twice, once in Pool Party on the Soft Sky layer, and once in Island Indigo on the Pool Party cardstock. The center of the snowflake is punched from that darker stamp with the 7/8' Scallop Circle Punch, sigh... retired also, but you could use the 1" circle Punch. I liked the ruffly edge of the scallop. Hope you have a great weekend! 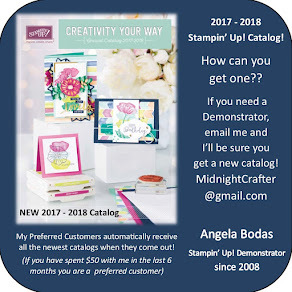 Supplies used in this project are listed below, just click on the link to view the item in my online store for more information or to order.